We put women on an equal footing in every sport. Now you can compete on equal ground. 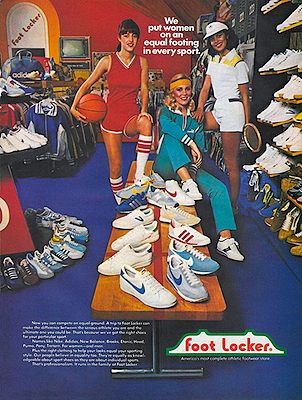 A trip to Foot Locker can make the difference between the serious athlete you are and the ultimate one you could be. That’s because we’ve got the right shoes for your particular sport. 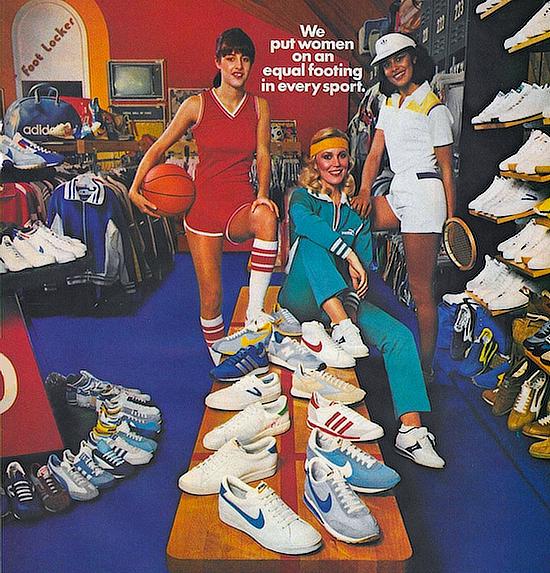 Names like Nike, Adidas, New Balance, Brooks, Etonic, Head, Puma, Pony, Tretorn, For women – and men. Plus the right clothing to help your looks equal your sporting style. Our people believe in equality too. They’re equally as knowledgeable about sport shoes as they are about individual sports. That’s professionalism. It runs in the family at Foot Locker.